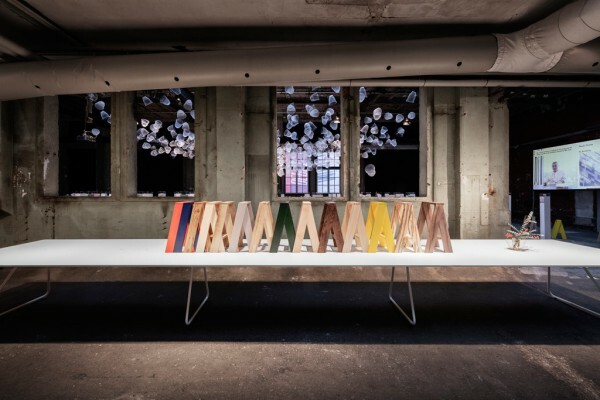 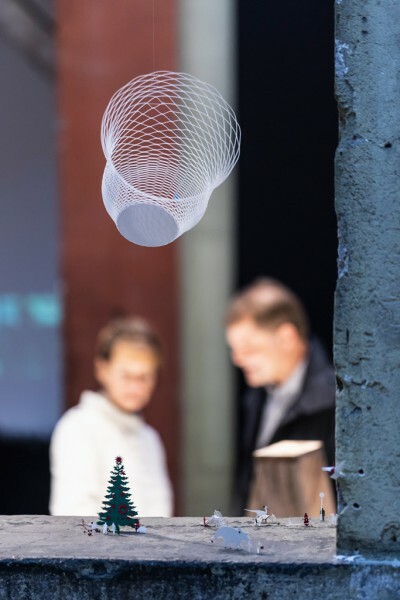 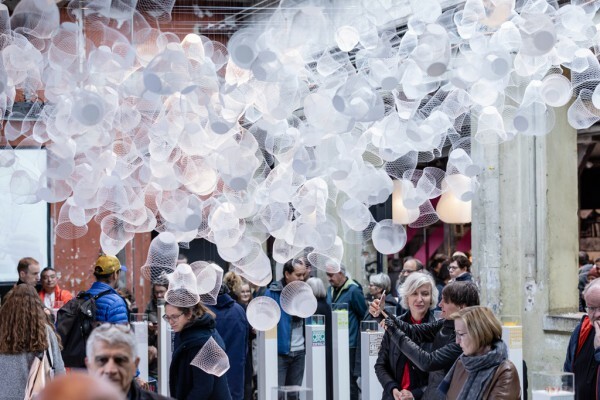 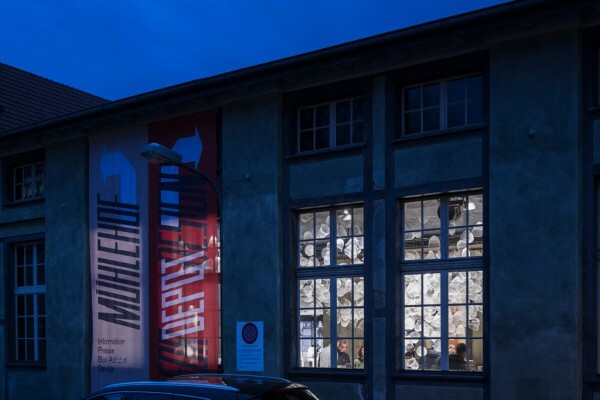 We created an installation for the “Designers’ Saturday 2018” design event held once every two years in Langenthal, Switzerland. 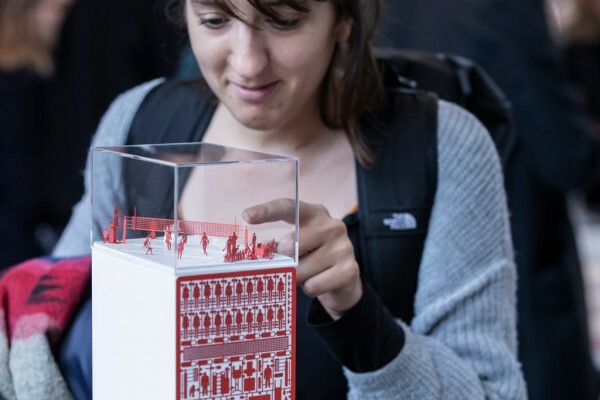 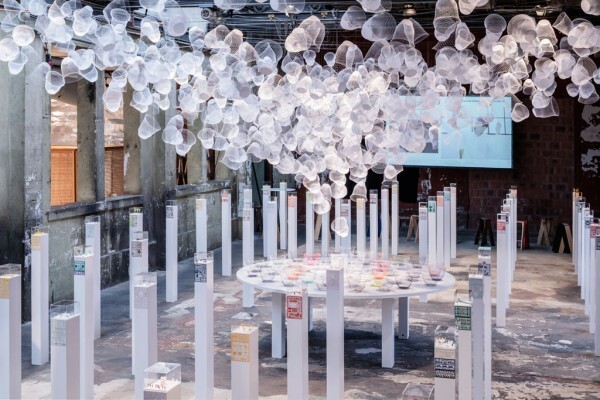 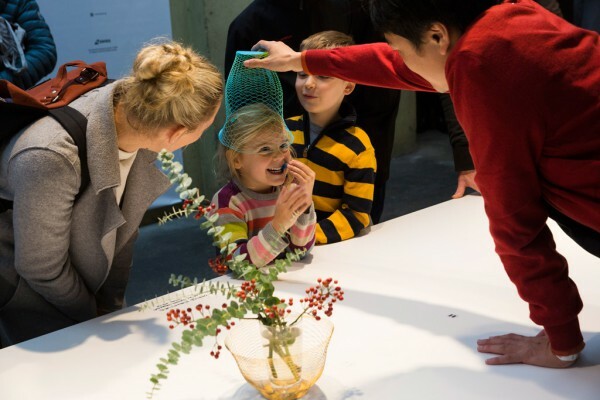 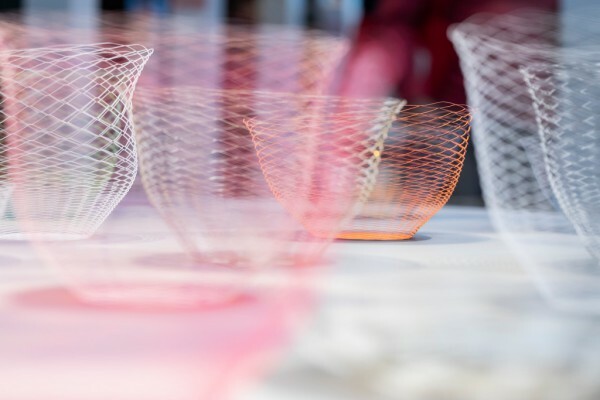 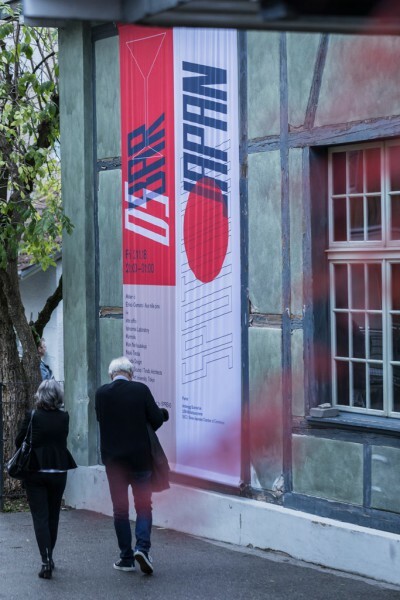 This event, which does not conform to a traditional exhibition, is what drives the design scene in Switzerland and, this year, Japan was selected as the guest country for the first time. 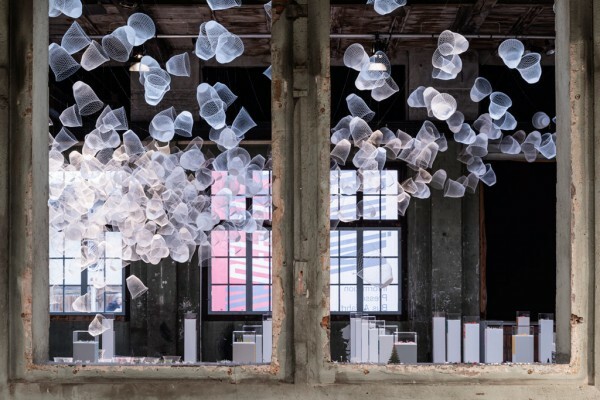 We collaborated with Mr. Naoki Terada to produce this installation. 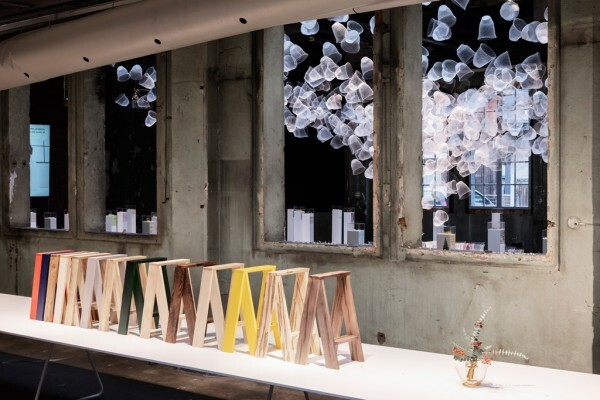 We displayed architectural model accessories by TERADA MOKEI on 72 pillar-shaped fixtures arranged in a grid pattern inside an old factory. 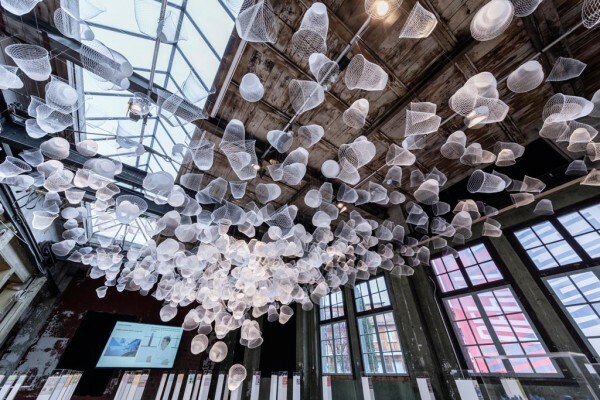 The upper part was configured to hang approximately 700 white airvases. 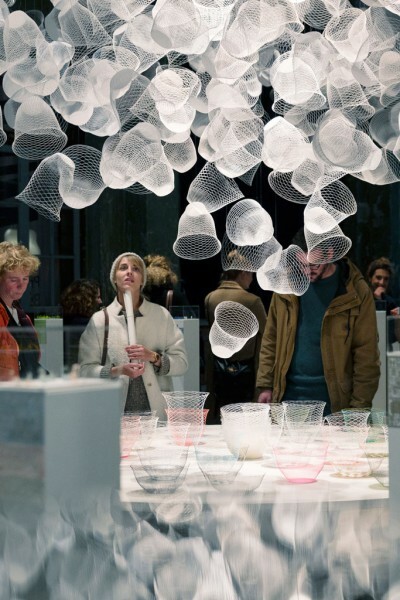 Here, visitors can appreciate the display while making their way around the fixtures below the airvases that come out from the round table in the center and spread outward in a cloud of varying density. 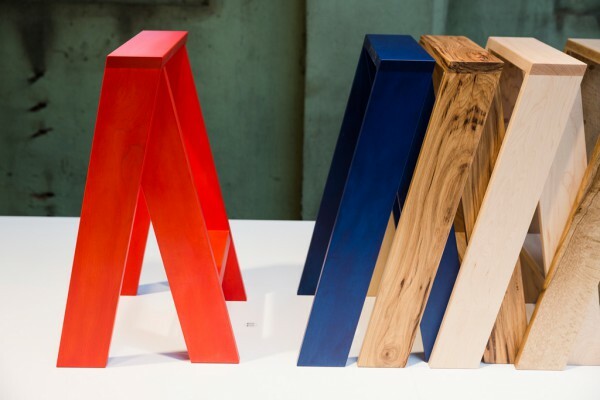 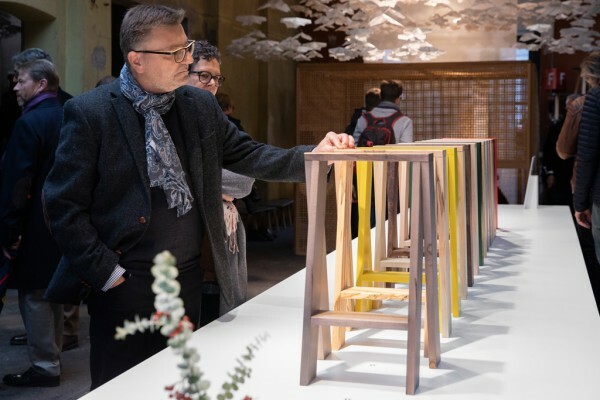 At both ends of the space, we projected the synchronized images of two people, which visitors can watch while sitting on AA STOOLs by karimoku made from different varieties of lumber and painted in different colors. 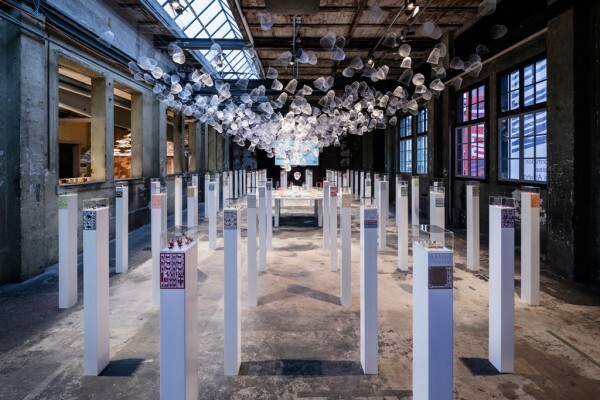 We aimed to create a space that possessed a dual nature by contrasting the conspicuous lightness and fleetingness of paper with the unrefined and powerful, large volume of the space.